QSBC offers a fitness and recreation facility open to the public six days a week. 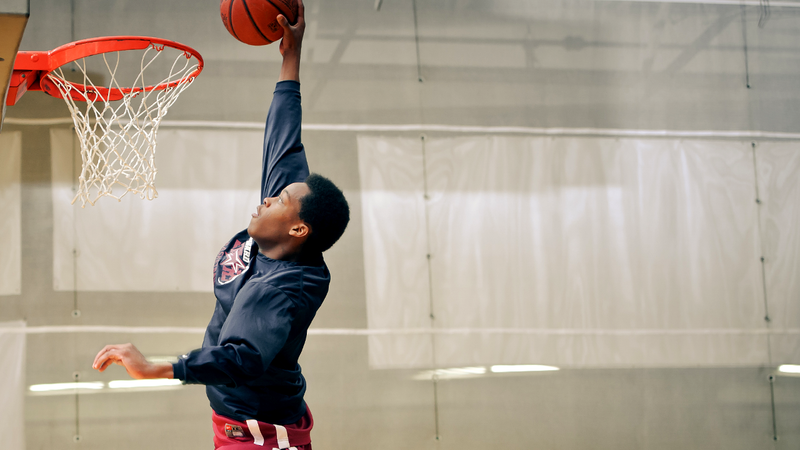 Our goal is to provide a friendly and Godly environment for people to exercise and enjoy sports. We have a variety of programmed activities as well as open gym time. We also have a walking/jogging track on the second floor around the court. In addition we have a great fitness room with machine weights, dumbbells and several cardio machines. 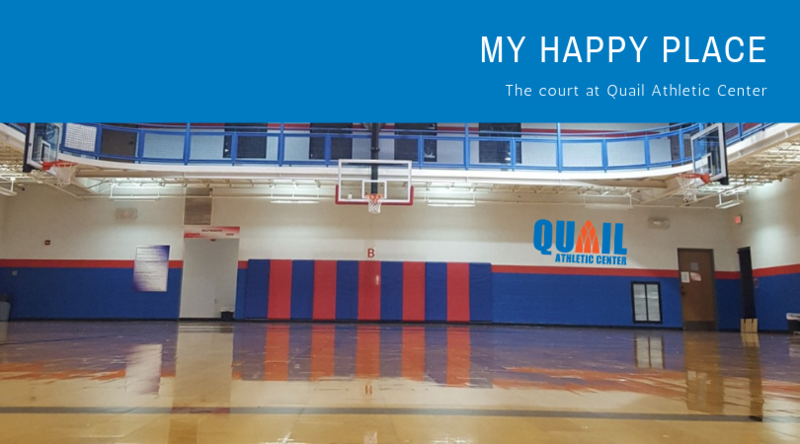 Come check us out and see why The Quail Athletic Center is the place to be. The fitness center includes treadmills, ellipticals, exercise bikes, 13 piece set of Nautilus machine weights, dumbbells up to 95 pounds, indoor jogging track (19 laps = mile). There is access to a full locker room with showers on the first floor. In the lobby, we offer games and activities, including pool tables, ping pong, and air hockey. $40/yr per person or a maximum of $80/yr per household. $10/Month per person (no max). Cash or check. We will be taking credit cards SOON! All persons 12 yrs and up must have a membership ID. All children under 12 must be accompanied by an adult at all times. No one under 16 is allowed in the fitness room. You do not need to be a church member to use our facilities. Monday, Tuesday, Thursday: 6:00 a.m. - 8:00 p.m.
Wednesday: 6:00 a.m. - 5:30 p.m. If you’re looking for a place to play basketball, this is it. We have pick-up games every day. Great fun and great competition. Games go to 10 and winner stays on. 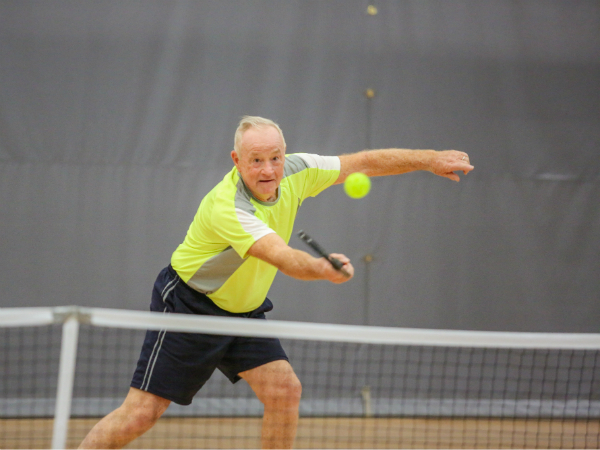 Monday - Friday: Noon - 3:00 p.m.
Come be a part of the exciting sport of pickleball, a cross between tennis, ping pong and badminton that is played with a wiffle ball. 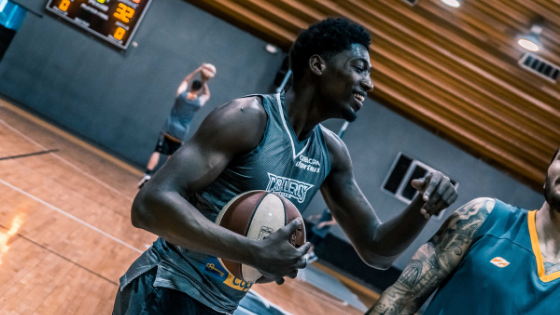 Hoops Church meets once a week on Tuesday nights from 9:00 p.m. to 12:00 a.m. and offers several hours of pick-up basketball and a short, 15 minute devotional. Doors lock at 10:00 p.m. and there is no re-entry once you leave. A Rec Center membership is not required to participate each week. 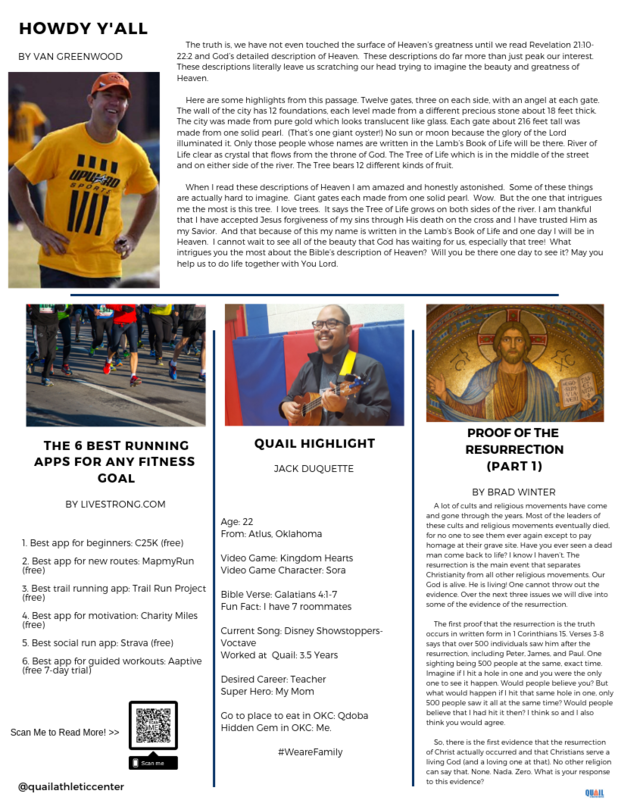 Body & Soul is “where faith and fitness meet.” They gather in the gym at The Hill. It is an international nonprofit fitness organization led by national fitness leader Jeannie Blocher. Founded in 1981, Body & Soul offers cardio/strength, boot camp, power/strength, basic & beyond, dance blast and strength/flexibility workouts. Email for more information. Saturdays: 8:00 a.m. - Noon (except Jan-early March due to Upward Basketball). 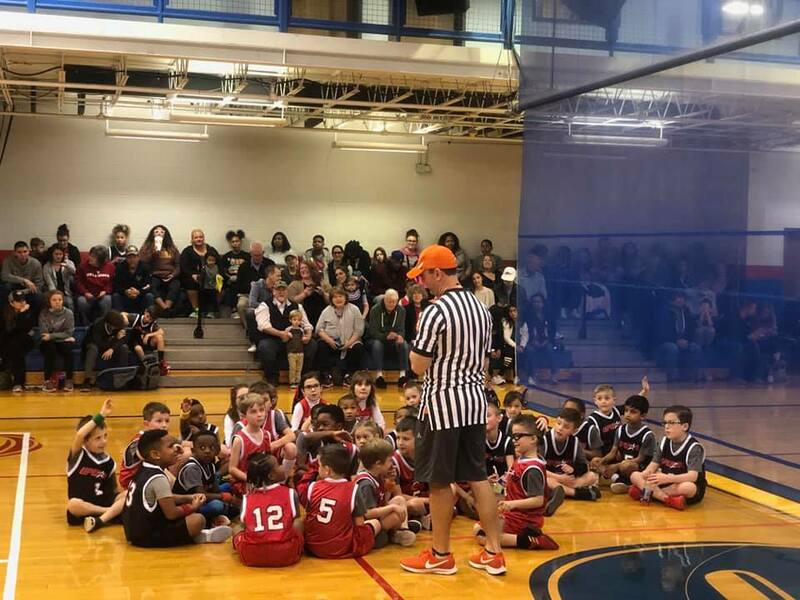 As the world's largest Christian sports league for youth athletics, Upward Sports, with the 360 Progression, is focused on developing the total athlete mentally, athletically, spiritually, and socially. At QSBC we offer the following Upward Sports opportunities for children from Kindergarten through 12th grade. 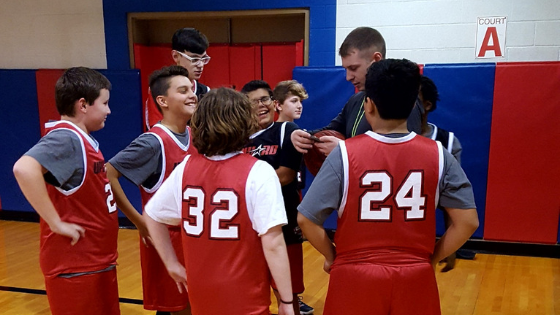 Upward Basketball – Register Here. 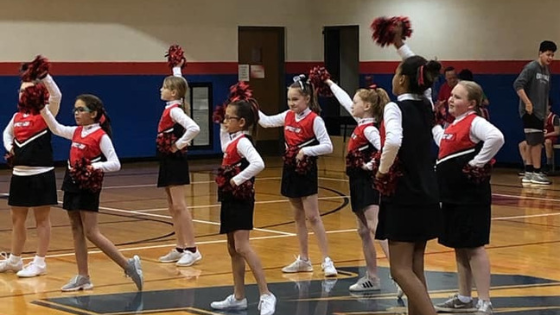 Upward Cheerleading – Register Here. 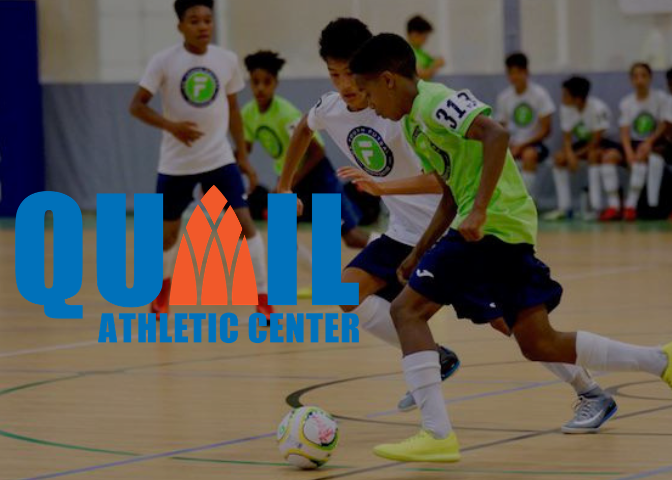 Upward Futsal – Register Here. 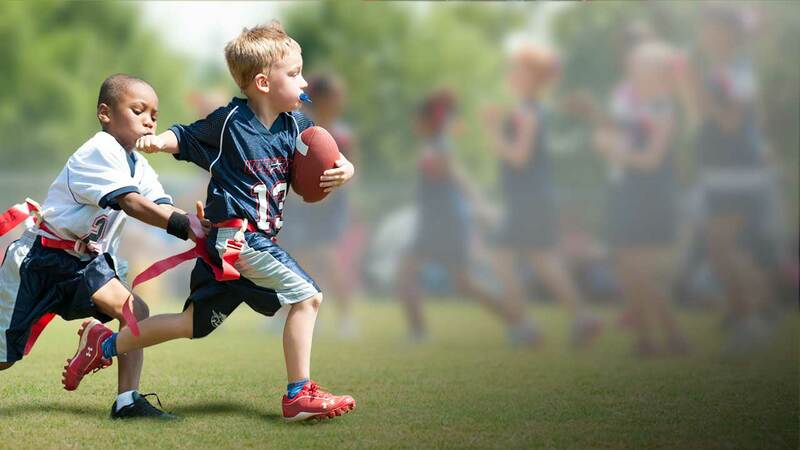 Upward Flag Football – Registration begins in mid-Summer. 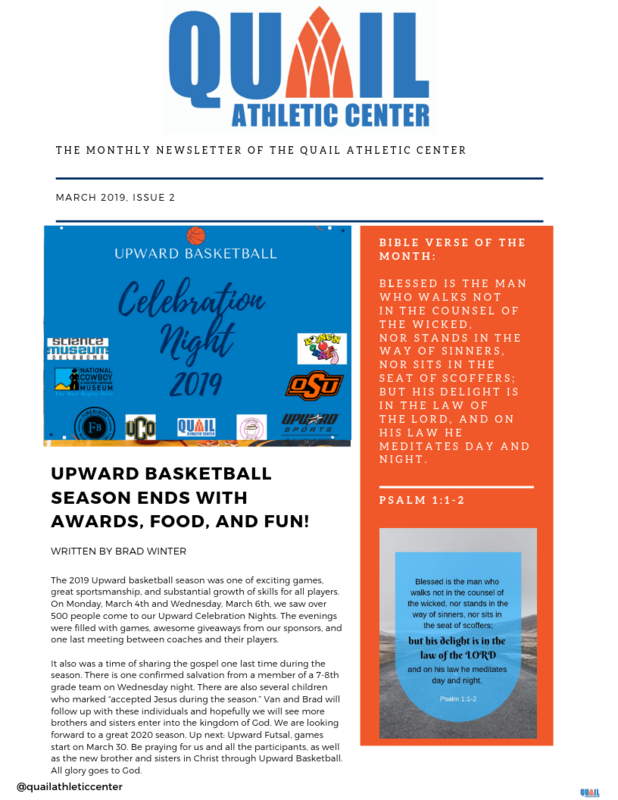 For more information on Upward, please contact our Minister of Recreation, Van Greenwood. Or you can contact Associate Minister of Recreation, Brad Winter.